Cool, view from up here! The Donna Wood is owned and operated by the North Iceland Sailing Company. Iceland-Photo-Tours charters the Donna Wood for photo adventures in Scoresby Sound, Greenland! 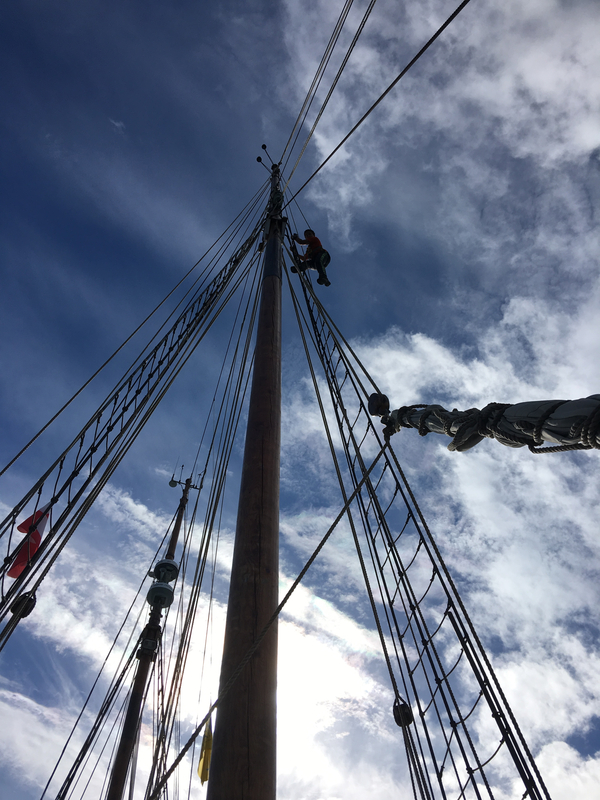 I had no idea we could climb to the top of the mast, but my son inquired about having a Peter Pan moment and our guide Egill made it happen. Below are a few captures of my Son making his way up! 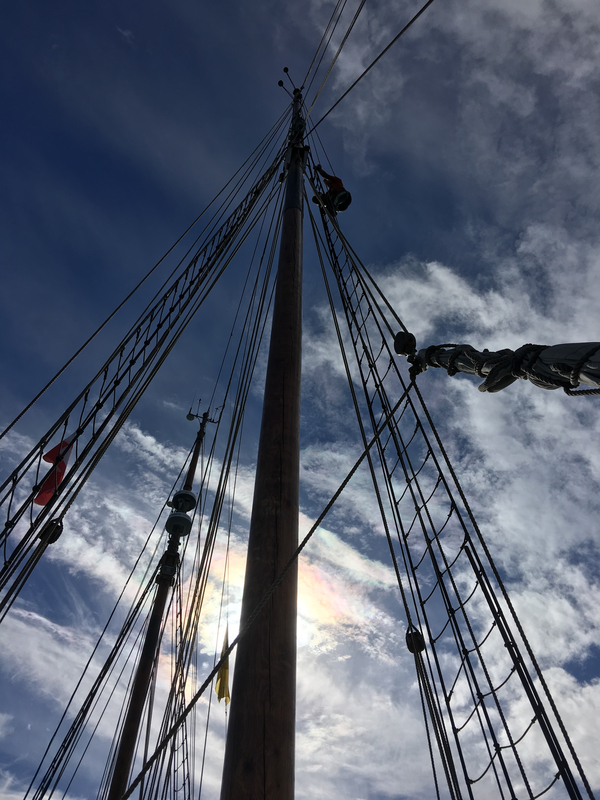 I had no idea we could climb to the top of the mast, but my son inquired about having a Peter Pan moment and our guide Egill made it happen. 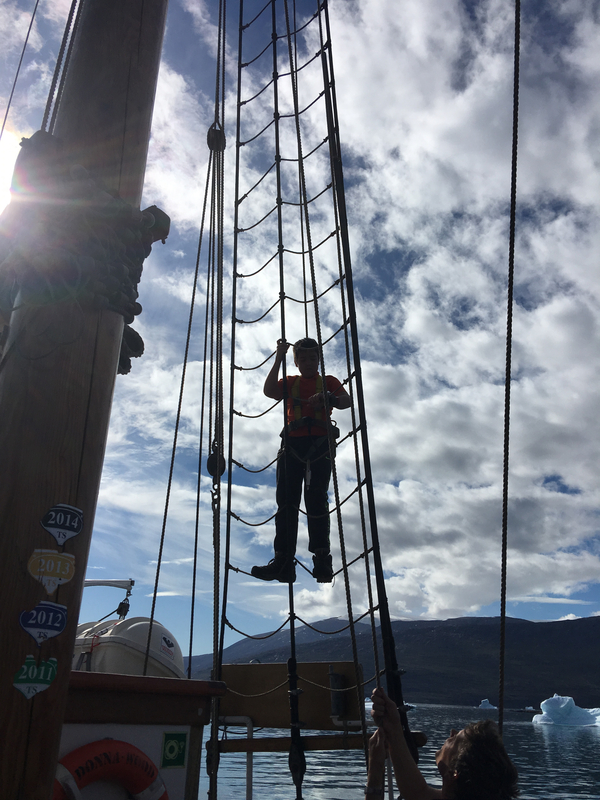 Below are a few iPhone captures of my Son making his way up! Don’t worry we were connected with a harness for safety. I was surprised my Son wanted to do it! He’s usually a bit wary about such adventures, but since he did it I had to go as well! I did swallow hard a few times as a few rungs of the rope ladder are broken. It was a great view from up there!